This was a bittersweet target for me. I really struggled with the stars and colors in post processing on this one, and I’m not quite sure why. I’m going to change the way I acquire RGB data from now on and I also recently purchased a moonlite autofocuser. All this said, I really like the shape of this galaxy. I think my luminance turned out really well, considering it was captured in a white zone. 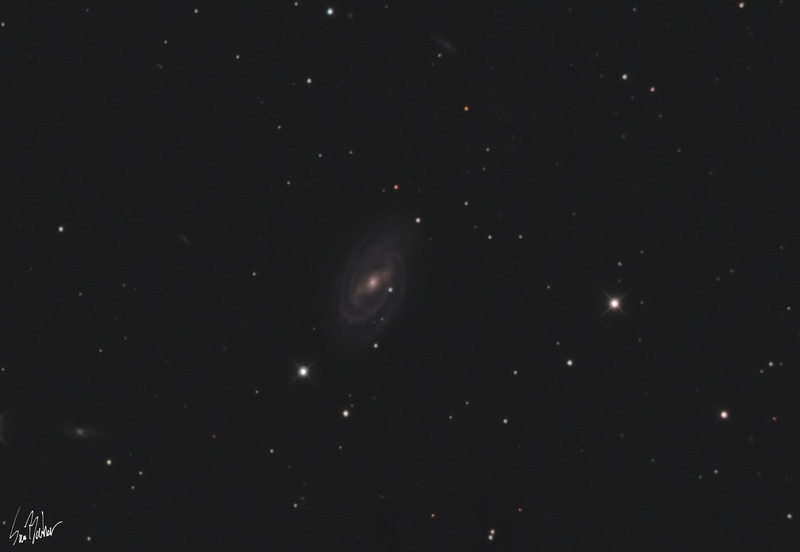 This is also the farthest galaxy I have ever shot, by a factor of two, at around 83.5 million light years. 84 million years in the past means these photons left this galaxy when the earth was in the middle of the cretaceous period. These photons traveled for more than 17 times longer than the human race has existed.